NOTE: PRODUCT TO BE USED ONLY ON POLISHED MARBLE SURFACES. DO NOT USE on BLACK MARBLE. MK Spot Removal Kit includes the items necessary to remove spots from polished natural stone surfaces caused by abrasive liquids. By applying a small amount of the enclosed MK Polish Spot Remover to the etched area and following a few simple steps you can restore the area to its original finish. 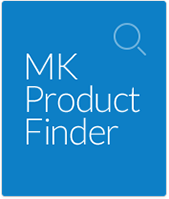 IMPORTANT: MK Spot Removal Kit is to be used only on polished marble surfaces that have been etched. Please contact us if you have any questions about your specific application. CONTENTS: MK Polish Spot Remover; MK Neutral Floor Cleaner; MK Premium Stone Sealer; measuring spoon; white hand buffing pads; lamb's wool; sponge; terry cloth towel; rubber gloves. REGULAR CARE AND MAINTENANCE OF NATURAL STONE IS RECOMMENDED. CLICK HERE FOR PRINTABLE SPOT REMOVAL KIT DIRECTIONS. CLICK HERE FOR PRINTABLE NEUTRAL FLOOR CLEANER DIRECTIONS. CLICK HERE FOR PRINTABLE PREMIUM STONE SEALER DIRECTIONS. Get the Ultimate Marble Kare Guide Still have Questions? Ask Kevin!